Capacity 5 lbs. x 1 oz. This scale features a stainless steel exterior, internal springs, and mechanism to ensure long-lasting durability. Its rustproof structure helps ensure its longevity in wet environments, and its large weighing platform accommodates a wide variety of items. 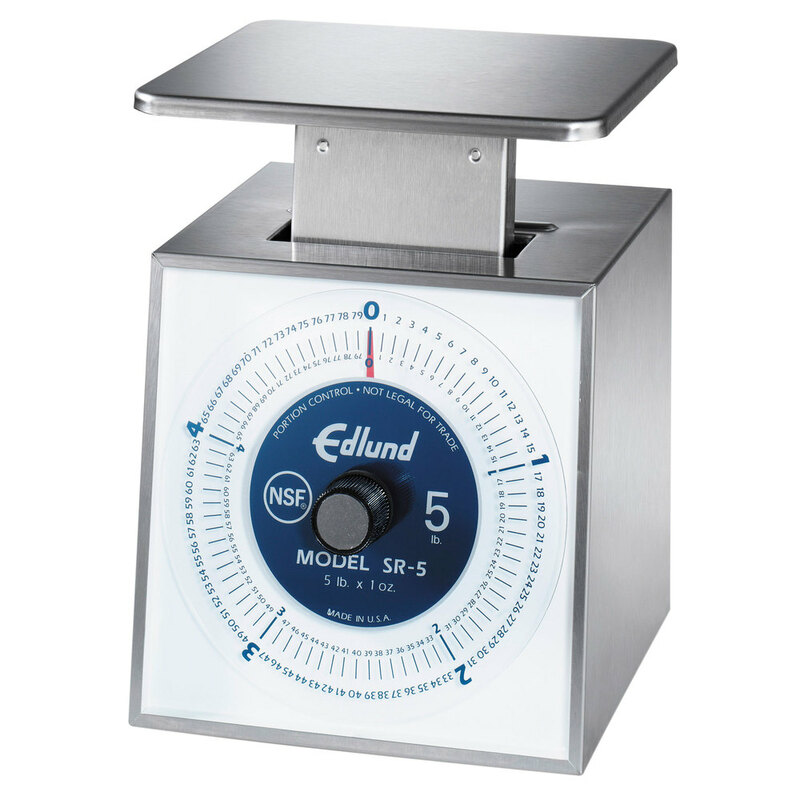 The Edlund SR-5 portion control scale is NSF Listed and dishwasher safe.